Browse through our curated collection of corporate gifts. Browse gifts and add to shortlist. Get the best price instantly according to quantity. Place order or buy samples. We will get back to you shortly to service it as per your requirements. Giving corporate gifts is a thoughtful way to nurture the professional relationship between corporate companies and their employees. Companies irrespective of their size are known to give gifts to their employees and associates on special occasions such as Diwali. Today, corporate gifting can be considered as being an amalgamation of utility and the aesthetic appeal. 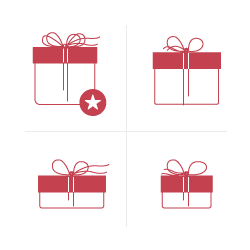 Giving gifts to associates, clients and employees without having to spend a fortune is something that companies consider crucial to their business. 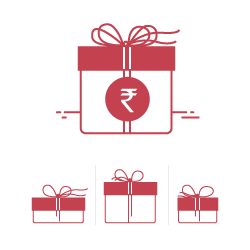 Today, corporate gifting spans beyond the mandatory Diwali gifts for employees, clients and office staff. From welcoming new associates or employees on board with gifts has now become a trend both in India and Internationally. Today, there are welcome gifts, farewell gifts, corporate gifts for performance, promotional products and gifts, and much more that has become a part of the corporate gifts scenario. This is especially seen in up and coming start-ups and small companies. At IGP, you can find a varied range of corporate gift ideas for clients, employees, and associates. We have something for every budget. We offer some of the best corporate gifts in India at Interestingly, the most common festival whose celebration includes the exchange of corporate Diwali gifts. Our online gift store has a wide range of Diwali gifts for employees or clients. 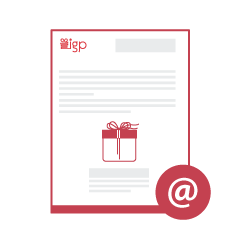 So, you can buy mind-blowing gifts for corporate from IGP, and we will get your chosen products delivered on time, without any hassle. Our curated collection of corporate gifts has office accessories, home and living accessories, electronic products, Diwali gift hampers for corporate, flowers and cakes, and personalized products. It is quite important to have a deep understanding of your employees' or clients' inclinations so that you finalize impressive gifts for them, which bridge the gap between them and the company. If they have an immense liking for chocolates or other delicious edibles, you can consider chocolates or fruit baskets for them. We also have a diverse collection of hampers, so you can order thrilling Diwali gift boxes for them, and make their celebration more amusing. Moreover, if you want to give a personal touch to your chosen gifts to make them feel more special, you can send personalized corporate gifts to them. For e.g. you can personalize stylish mugs with their name and the company's name, and send those as personalized as well as promotional products. At IGP Corporate Gifts, e-shop for custom corporate gifts, customized corporate Diwali gifts, best corporate gift items within 100-500 to Rs. 10000. Get the best corporate gift ideas for your corporate gifting needs. IGP is the most trusted and reliable online gift shop in India, and we make sure our customers enjoy a satisfying online gifting experience. We have tech-enabled warehouses, and inventory centers, which ensure proper quality management of our products and services. We offer free shipping across India. So, you can send exciting corporate gifts to Hyderabad or Mumbai or any other city in India, without shipping charges. We offer same day delivery and midnight delivery on flowers and cakes. You can send fresh flowers to your loved ones from IGP and enlighten their cheerful spirit. Or, you can surprise your loved ones with tempting cakes on their birthday at midnight, and make them feel how special they are to you. Moreover, at IGP, we help you choose appropriate gifts for your loved ones or colleagues, based on four important parameters, i.e. personality, age, occasion, and relationship. Every year, we bring to you exciting Diwali offers. So, this Diwali, do something different, and send unique corporate gifts to your company's employees and clients, and build a stronger and more trustworthy relationship with them. Copper Bottle with the set of two Glasses. IGP is the first and the largest online gift portal in India. 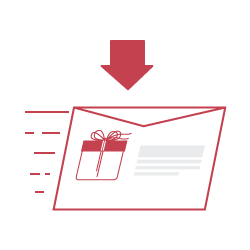 We ensure that our customers get to enjoy our hassle-free online gift delivery service. Apart from over 300 cities in India, we also deliver across 90+ nations, worldwide including, USA, UK, Canada, UAE, Australia, and Singapore, with the assistance of our fully connected global network. So, if some of your clients or employees are based abroad, you can send corporate gifts to Singapore, and enjoy our hassle-free international delivery service. Or, if one of your company's branches is in London, and you want to surprise the employees on their birthday with gifts, you can send flower bouquets and a cake to them. We will make sure they enjoy the surprise!